1 Bedroom Flat To Rent in London for £1,200 per Calendar Month. 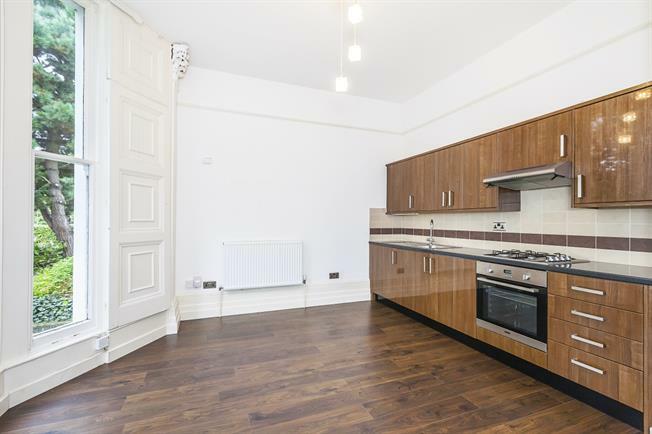 Property comprises open plan kitchen/living room with modern fitted kitchen including integrated white goods high ceilings and window shutters, shower room with double walk in shower cubicle and WC, bedroom with French doors leading to a private balcony. The property has walnut veneer wooden flooring to the hallway and main living areas and carpet to the bedroom. The property is decorated in neutral tones throughout and retains some original features such as sash windows and cornicing. The property is ideally located for Westcombe Park and Maze Hill mainline railway stations and also Blackheath. There are a number of local bus services to nearby Greenwich and Lewisham. Parking is on the road with no permit required.